In recent months I have made no secret in my new found love for all things false nails - this doesn't mean I have totally turned my back on nail polish, I still have plenty in my collection, just at the minute I can't get over the ease and convenience of false nails. They take 10 minutes to apply and you get a week of chip-resistant, perfect and sometimes outrageous nails - something I could never achieve with nail varnish, not without a miracle or divine intervention anyway. My brand of choice is Elegant Touch, I love the variety of their styles and their quality and durability; I am a massive fan of the House of Holland collection and am very excited about their new neon collection, plus how lovely are these Sweet Sherberts - you can check out my detailed reviews and tutorials of their Express Collection and Sweet Tooth House of Holland Nails on Femside. Last month, when I first heard about their Candy Dip range, I knew I had to give them a go. 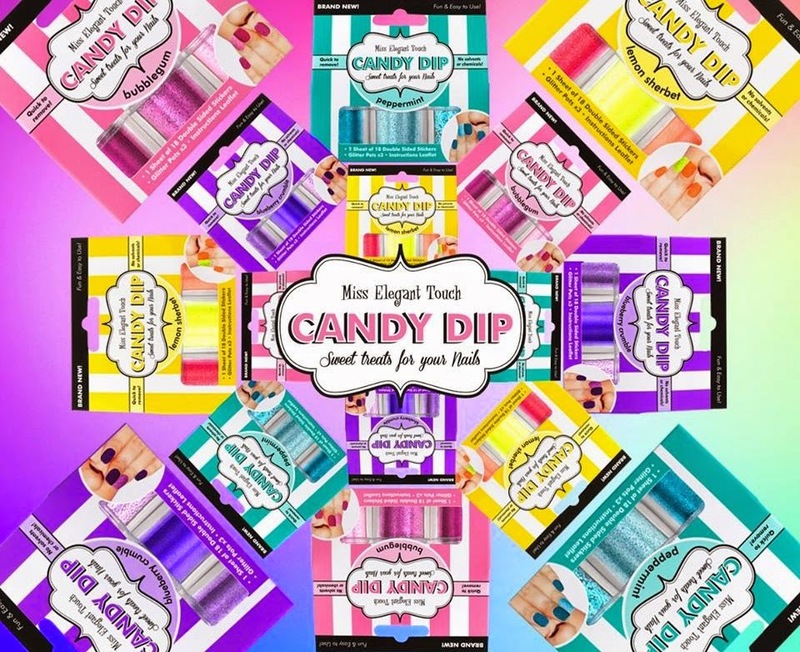 Available exclusively at Superdrug, Candy Dip is a way to get fuss free glitter nails without having to apply 500 coats of glitter nail varnish. Inside your cute candy ship box, you get three pots of glitter and 14 double sided nail stickers. Simply put, you choose a sticker that fits your nail, file off the excess and pop your sticky nail into the glitter of your choice, and voila sparkly nails that dazzle. 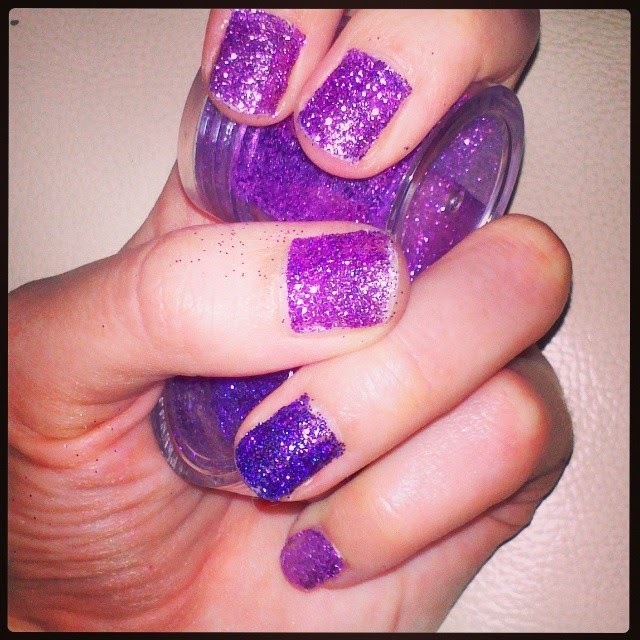 Apply a top coat and the glitter wont shed and will last longer - it's genius! They lasted through several showers and my compulsive hand washing, so they are way more durable than I could have imagined. And when it was time to say goodbye, they simple peel off - At just £4.49 a piece and four lovely shades to choose from, I think they are quite the bargain. Stay tuned to Femside for my full review and tutorial. What do you guys think of Candy Dip, do you think it will be something you want to try? * Nails sent to me by Elegant Touch as part of a review for my work with Femside, all opinions are my own.